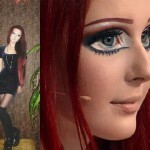 In Odessa, Ukraine, lives a real life Barbie doll – 19-year-old Anastasia Shpagina. 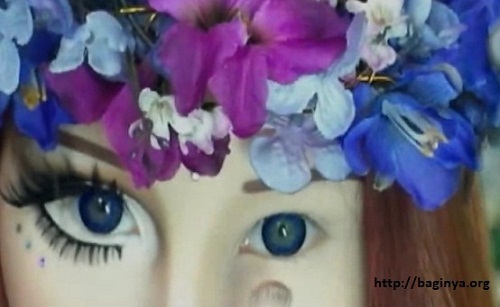 She is actually the biggest fan of well-known Russian freak Valeria Lukyanova (b. 1985). 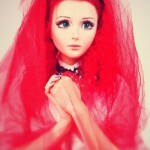 There was a TV talk – show on Russian TV, where some “Barbies” were invited alongside with their mothers. 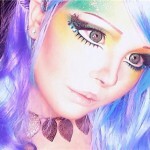 Lenses, over-sized eyes to give the appearance of cuteness and innocence with cupid bow lips and a porcelain complexion – real-life Barbies attracted much attention. 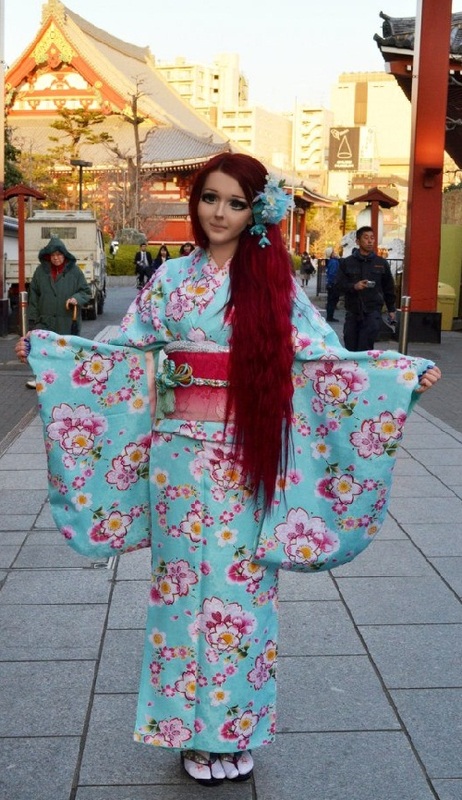 Thousands of girls around the world have shown interest in these girls, wanting to look like them. 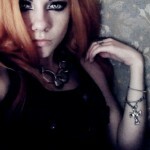 Nastya or Anastasia admitted that she began using make up at the age of 7. Despite criticism, Valeria and Nastya’s mothers enthusiastically approve their daughters’ lifestyle. In fact, they themselves started following their daughters. 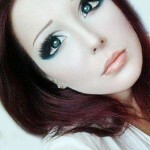 The movement of creepy Barbie clones is growing … Living doll-look is going global. Scientists, doctors warn that too much emphasis on physical appearance from an early age could have disastrous consequences, encouraging anxiety, depression and eating disorders, later in life. The summit of barbie dolls. From left to right – Nastya Shpagina, Olga Oleinik (Dominika), Valeria Lukyanova (Amatue), and simply Barbie.